What January is to winter, surely March must be to spring. Effing long. It’s a marathon of seasonal transition where the work and the weather and our social calendars are all over the place. Are we coming or going, is it monsooning or am I going to get sunburned at Dolores Park? Between the heady rain and stubborn fog, however, pockets of spring have certainly settled in San Francisco. City spring is in full effect, and with it, a fresh roster of activities worth flipping over. From fine arts to festivals, feasting to fearless outdoors adventuring, here’s my pitch to get you stoked on spring. // Feature photo by James Forbes. Monet is at the de Young. Reubens is about to slide into the Legion. SFMOMA is featuring Sea Ranch. The Academy of Sciences has an especially thrilling exhibition on fungi, along with that albino alligator - which honestly is worth the price of admission every damn time. In the world of the performing arts, SF Ballet has officially kicked off their new repertory season. The TL;DR of that situation is this: Mathilde Froustey is the greatest dancer in San Francisco. Maybe the world (?!). And Benjamin Freemantle moves with a profound animal quiet, despite the fact that he looks as though Bernini carved him out of pure marble. Run, don’t walk, to the War Memorial Opera House to see them make art. The Outside Lands lineup has been posted and man, some of us are very happy. Most importantly, Hozier is returning to GGP. I have every intention of rushing the stage and begging to return with him to Ireland. It hasn’t worked the past three (yes, three!) times, but hey. Tomorrow’s a new day. Tomales Bay, photo by Thomas Ciszewski. If spring cleaning is leaving you hungry, fret not. Daily Driver is opening in the Dogpatch, where you can carbo load on the best bagels and butter this side of the Mason Dixon line. I’m calling it now, this is THE new spot. If you need me, I’ll be camped out at the bagel observatory every weekend for the foreseeable future. Article coming soon to Bob Cut so you can get to know the DD team as well as we have. Noosh is open on Fillmore. The food is, as we had hoped, fantastic. I recommend the halloumi and flatbread. And absolutely save room for dessert. You deserve those tiny donuts, honey. 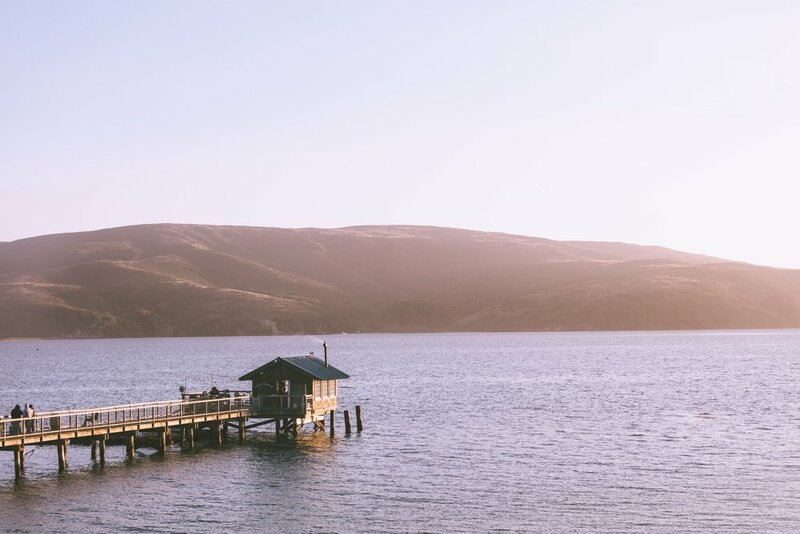 Experience Tomales Bay next weekend at the Taste of Tomales food event, Apr 5-7th. Staples like William Tell House, Nick’s Cove, The Marshall Store, Dillon Beach Resort, and more will be offering their finest food for celebration in one of the most incredible farm to table districts in the country. The drive out there also could be worse. The Golden Gate Bridge and 40 miles of rolling hills and beach bluffs? I’ve seen uglier, let’s just leave it at that. Driving through Big Sur, photo by Richard Nolan. After a bit of a delay, Half Dome opened the lottery for that oh so infamous hike. The cables can only sustain a select few; here’s to hoping I get chosen so I can hike my heart out, then write about it and force you to read it in a forthcoming Editor’s Letter. Back at Camp Bob Cut, we’re slicing and dicing some editorial goodness. On deck we have a corral of fresh locals shaking up the scene, outdoors content to rival @natgeo’s Instagram, and a hot print issue to usher you into summer season. Stay tuned, folks. Get the editor's letter first. Sign up for the newsletter and be as cool as all the SF Bay Area residents who are signed up.